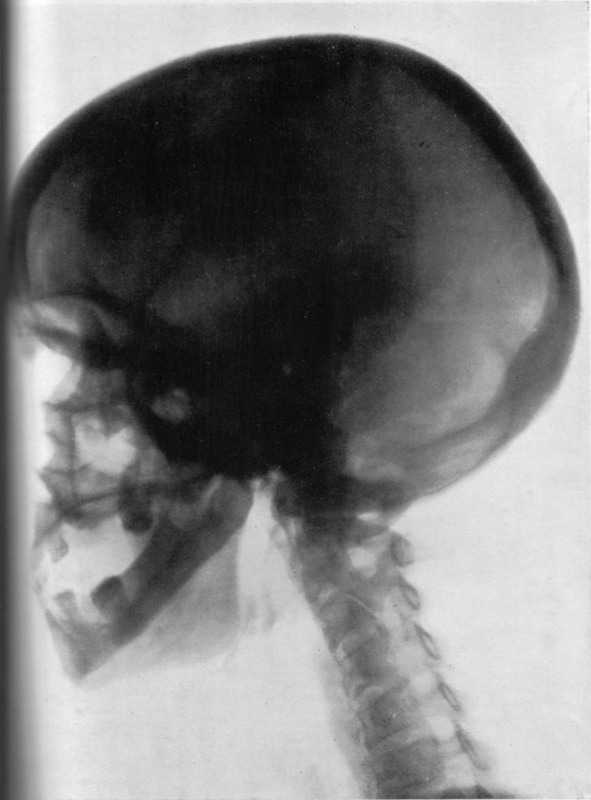 Radiograph of medium's head, taken at fourth séance, May 28th, 1931. 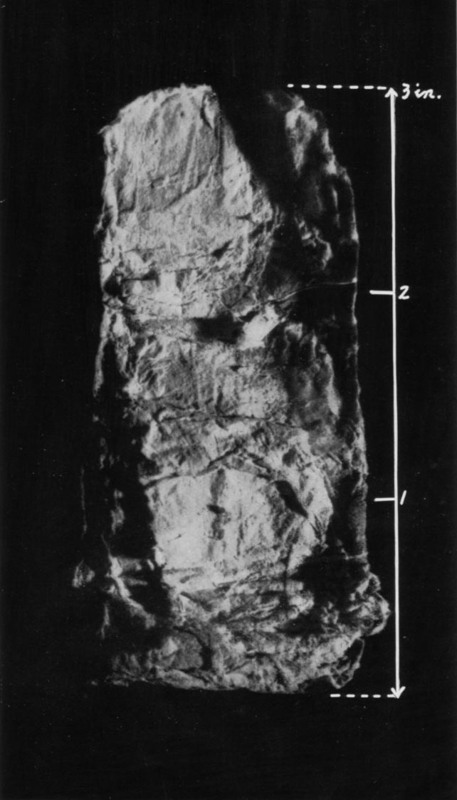 Piece of 'teleplasm' (enlarged), consisting of ordinary paper, secured from Mrs. Duncan at fifth séance. See photomicrographs, Plate XXVII, and analyst's report, p.78. mixture of 60% chemical and 40% mechanical wood pulp. 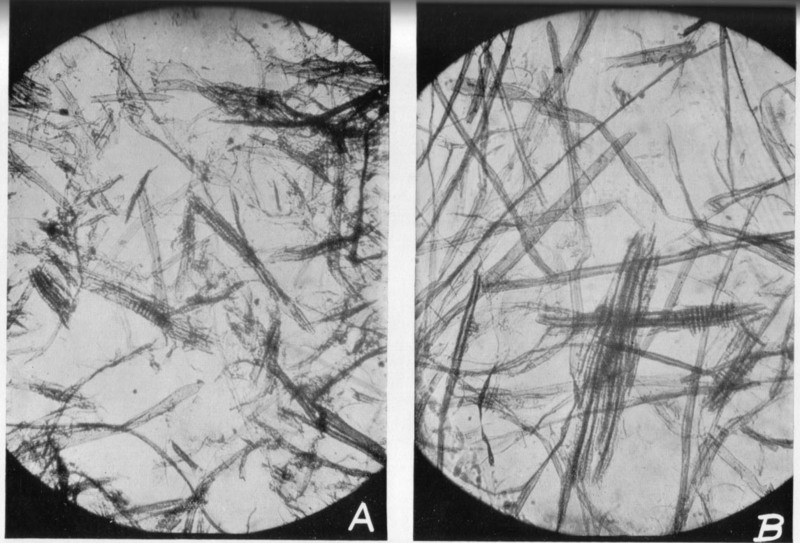 The fibres, medullary rays, etc., are identical in both photographs.